In this reviving “all about you” retreat, take in the sunshine, hydrate with coconuts and waterfalls, eat organic delicious cuisine, and nourish in your self customized Bali holiday! Learn your best style of care, yoga, meditation, expression and explore Bali’s magic culture with expert guide and teacher, Gypsy Bast. Cultivate “Spirit” through your experiences, and feel your entire body embrace the nature of life’s gift. Breathe in the sublime finest expression within yourself. You deserve it! 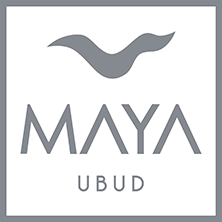 Twice Daily Yoga and Meditation guided practices, Meals, Accommodations, Cultural Balinese tour, Balinese Gamelan and Dance show, Holy Water Temple excursions, Waterfalls, Chocolate making tours, Cooking and/or Jewelry classes, Ecstatic dance, High Priestess Blessings, Rice fields, Volcano tours, and anything you may choose to see in magical Bali! Deposit of $500 due to reserve your booking. Gypsy Bast is inspiring, fun, and powerful. She has worked internationally for the last 12 years at Amilla Fushi in the Maldives, the Yoga Barn in Ubud Bali, the Nike European Headquarters, and Urban Yoga Sydney, where she laid the foundation for a multi-sensory yoga experience with the owners of Anytime Fitness. Gypsy trained Cirque du Soleil shows, Corteo and Totem, as the performers trainer for injuries and rehabilitation, as well as focusing with the main characters warm-ups with yoga and meditation. Over her career, she has taught thousands of people how to increase their vitality through wellness practices, and overcome adversities. She has appeared in Namaskar, Vision Magazine, Yoga Magazine, choreographed for Bon Jovi, the Sundance Film festival, and has worked with Hollywood celebrities, international sport stars, royal families, ballet companies, and the CEO’s of leading international companies. Gypsy’s mission is to help people discover their unique gifts and limitations through intelligent, healing practices. She is continuing to collect studies and experiences along with life lessons, and her passions include writing poetry, music and singing. 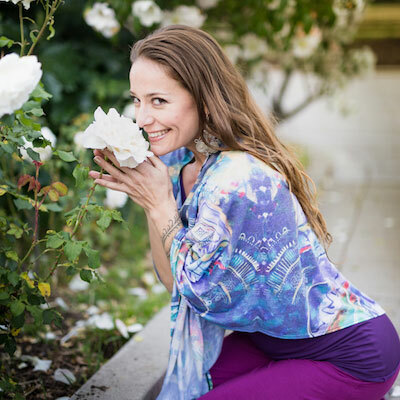 Gypsy is a joyful, free spirit and dedicated lover of life and her path as a teacher. Gypsy has a unique style of teaching that incorporates her years of studying different disciplines so that she can harness her wisdom and ageless knowledge to blend and weave it seamlessly through fun, intelligent, and creative retreats. Not only do the practices she offers feel incredible, but I find her love, respect, and appreciation for her own practice and body infectious. She has helped me to connect, love and anchor into my own body and life practices. Through studying with Gypsy I find each body (spiritual, mental, emotional, physical) is nourished and I end up feeling more whole at the end of a class with her. She returns you to you, and for this studying with her is an investment in your soul. Gypsy’s style of teaching is filled with love and awareness, and I felt that each session provided new knowledge, illumination, and joy. I would come out of our time together always more aligned, centered, feeling stronger, and connected to my body with new tools to apply in my work. Gypsy is such a charismatic instructor, she has such a power about her, you can’t help but move with her!